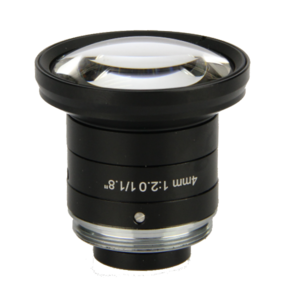 The LCM-5MP-4MM is a high resolution (up to 5MP) lens designed for cameras with a 1/1.8" sensor or smaller, to create sharp images. 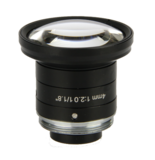 The low F number makes it a very light sensitive lens, ideal for low illumination situations due to short exposure times or poor light conditions. The LCM-5MP serie has multiple focal lengths to assure the right working distance can be met for each application. The iris and focus are adjustable and can be fixed by a screw. All datasheets can be downloaded in our download area.